Before we discuss the Parasha for this week, i have the opportunity to reveal some amazing information that is taught by the ARI - Rabbi Issac Luria of Blessed Memory. the ARI is the foremost MeKubal (Kabbalist) in the last 500 years. In his teachings he explains that the First 13 days or 14 days (in leap years) of Nissan provide the opportunity to take control of all wars that will be held in your life during the coming 12 months. On the First day the wars of Nissan; on the second day the wars of Taurus; on the Third day the wars of Sivan and so on through all 12 days and months of the year. War means all struggles and conflicts within you and without you. Between you and your Family, Neighbors, Business Associates, and all of your acquaintances. Most important is the conflict within you regarding your desire to receive for yourself alone. 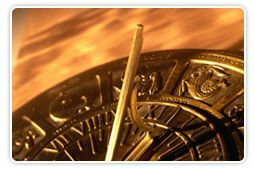 This year is especially important because there is an Astrological event that occurs once in 28 years. The sun returns to the original site of its creation on the 4th day of the week (the day of its creation). This happens once in 28 years but this year it occurs for the third time on the 14th day of Nissan. This has happened before in History. On the night of the Exodus from Egypt and during the events described in the Megillah Esther during the days of Purim in Persia. The rituals associated with the Teachings of the ARI for Nissan can be located at the Nissan Link. (http://www.yeshshem.com/Holidays/Pesach/Initial%20Link%20for%20email.html). i do hope that you all will try the ritual to see how it works for you. It only takes a few minutes each day during the first 14 days of Nissan which commences with Rosh Chodesh Nissan on March 26,2009. This week is a double Parasha! It is also almost the same two readings from two and three weeks ago. The Portions are called Vayekel and Pekudai. Vayekel means Gathered. Pekudai means accounted for. Vayekel describes again the building of the Mishkan in the desert. Pekudai explains the clothing of the High Priest and accounts for all of the donations given for the building of the Mishkan. Why is it necessary that the donations be repeated? why do we need these additional readings which are almost the same as the previous readings Terumah and Tezaveh? What changed? The portions of Terumah and Tezaveh were addressed to all of the people including the Erev Rav. These two portions are only addressed to the Children of Israel! Don't make the mistake of thinking you are a child of Israel and not the Erev Rav. These words are describing levels of consciousness. The basic spiritual lesson is we all have the potential to be Erev Rav and we all have the potential to grow past that level and arrive at a level of consciousness known as Children of Israel. Which are you? it depends on your actions! It depends on your efforts to improve your self. It depends on your efforts at spiritual growth. Are you studying Kabbalah? Are you using the tools of Kabbalah to help yourself and others? or are you continuing the veils you created in your last lifetime? Do you want to change? Then start know by using the tools of Kabbalah during the first 12 days of Nissan. This year 5769 is especially connected to change because on April 8 you have the opportunity to utilize the Mitzvah of Bircat Hachamah (Blessing the Sun) - a once in a 28 year cycle to change yourself just in advance of the Holiday of Freedom called Pesach. During the spring cleaning session you have the chance to evaluate your negative actions that keep you enslaved and break those chains. You will need help to do this. The reading of certain verses in the Torah along with meditating on Hebrew Letters that connect to all of the months of the year will assist you in these changes. Are you interested - Click Here! The essence of Vayekel Pekudai is learned from the fact that we read 214 verses. This is Resh Yood Dalet in Gematria. The sages did not give us a code word because the number itself is the word itself and it represents the essence. The word Yood Resh Dalet is the modern Hebrew word used to describe someone born in the Land of Israel who goes down to exile. This reading is your vaccine to avoid going down during this coming year. Of course it takes effort to break your chains as well. It takes effort to prepare for the year especially in a Kabbalistic way. We also read a special Maftir referred to as Shabbat HaChodesh. We read again the First Mitzvah given to the Jewish people even while in exile. The Mitzvah of taking control of the physical world through rising above the Astrological influence. The month of Nissan has the energy of war built into it. We can war against others or battle our own Yetzer HaRav - evil inclination. When one battles our own evil inclination and with the support of HaShem and the Kabbalists we change the year ahead to be one of joy, happiness, and fullfillment.